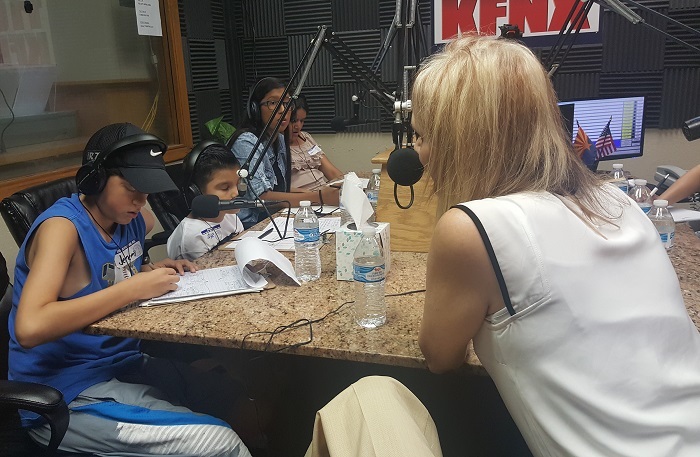 Twelve students from St. Vincent de Paul’s Dream Center will be going back to school this year, having earned the title “radio show host and producer” over summer break. This is all thanks to volunteer Bob Fishman, who developed and led “The Young Reporters” program for the students. Bob’s program not only taught students the principles of reporting, it gave students the opportunity to meet various community leaders and learn to develop interesting conversations on the spot. The students got to use actual radio equipment at the KFNX 1100AM studio and the show aired weekly Saturday mornings. Bob developed “The Young Reporters” program to not only gain practical skills, but help students build confidence for whatever they want to pursue down the road. 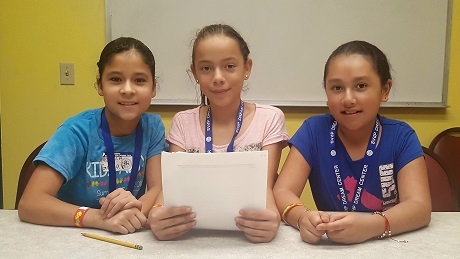 Over the summer, these young reporters practice by taking turns being a reporter and a special guest. This allows them to understand what it feels like to be on both sides. “At first, I could only think of one question to ask our special guests, but now I can ask a ton of questions,” said Jose, one of the young reporters. After the young reporters get their feet wet in the classroom, they had the opportunity to interview guests at the radio station and produce the radio show. They interviewed a variety of different guests. A few examples are SVdP staff, volunteers and leaders from other companies and organizations across the valley. These children even had the opportunity to interview Gabriele Delmonaco, the president/executive director of A Chance in Life who is also known for his service in the Vatican as the associate director of finance. “That is a once in a lifetime opportunity,” said Bob. Fishman is proud of the young reporters for their hard work and dedication to the program. He emphasizes how important it is to practice and how things gradually get easier the more a person practices. “If it was not for Mr. Fishman, I would have never been on the radio. I am so happy for all that he did for us,” said Frida, one of the young reporters.